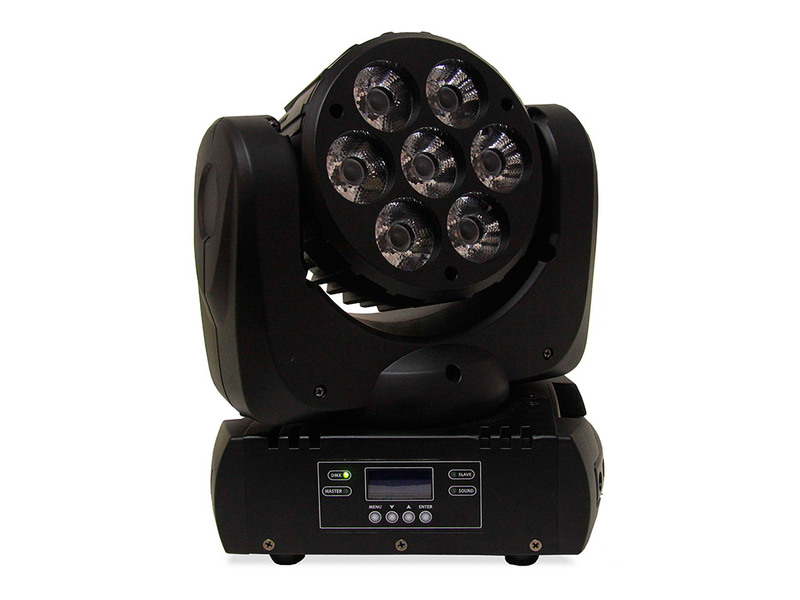 This powerful and versatile moving head adds 12 QuadColor of 10W each one divided into the three primary colours (RGB) and white in the same LED, offering a homogeneous mix and a wide range of bright colours. 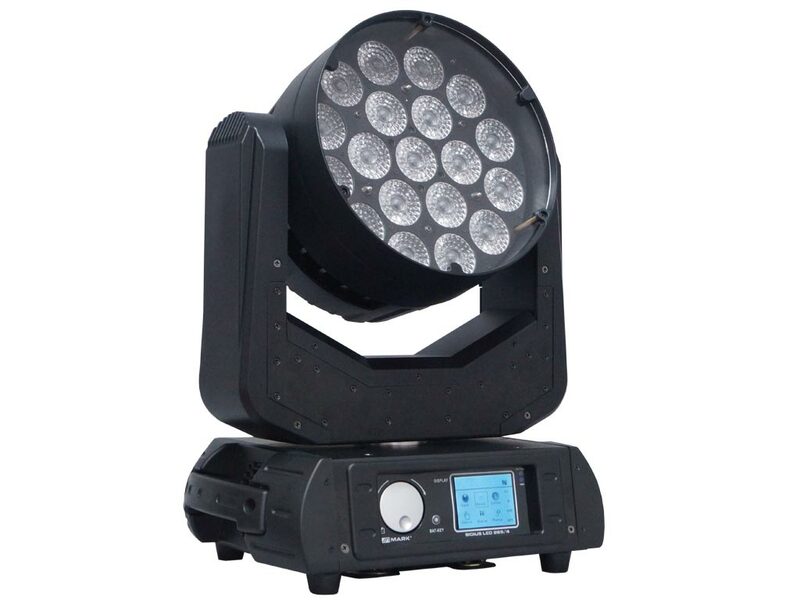 Its high brightness allows to use it to replace conventional lighting adding advantages such as a saving in the power, the absence of heat and the lifetime of the product. Besides, considering that it is amobile device, it has a wide variety of possible applications. Its high efficacy motors provide flowing and quiet movements. 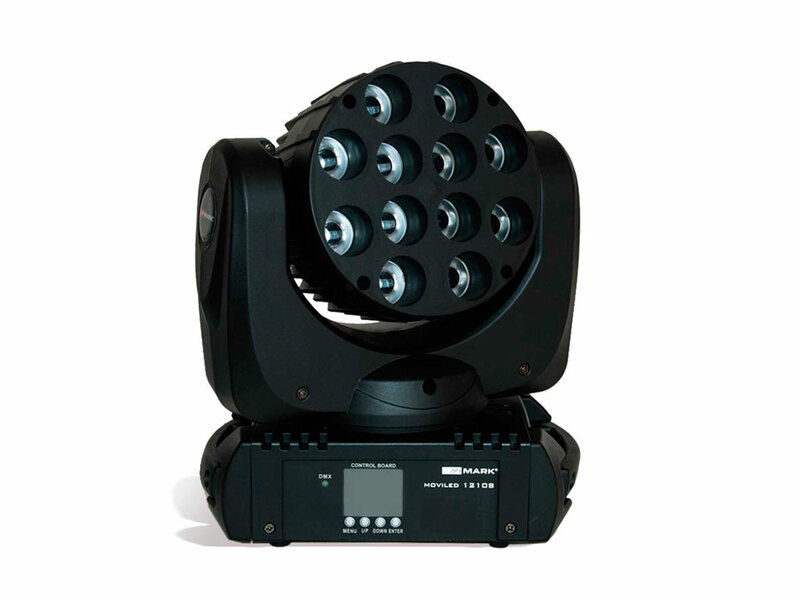 It has several working modes: DMX (with configuration for 11 channels), Auto (thanks to its internal programs and micro included), and Master/Slave. 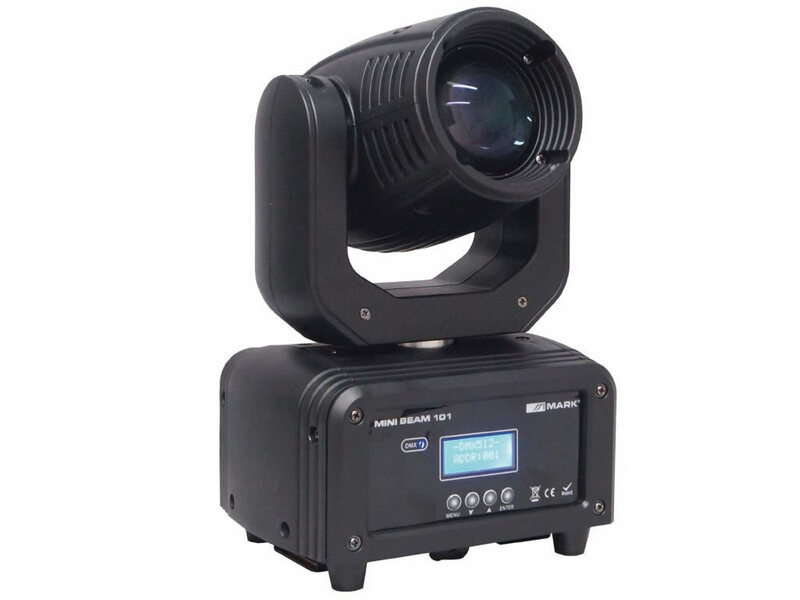 Among the included functions, stands out the possibility to control the speed of execution of the programs, inversion of PAN/TILT movements and the display, adjust of the colour temperature and strobe. Besides, it has different dimmer speeds which are totally adjustable. Every function and configuration can be selected using its interface which has access buttons to menu and a big display. Its robust handles allow an easy use and transport. 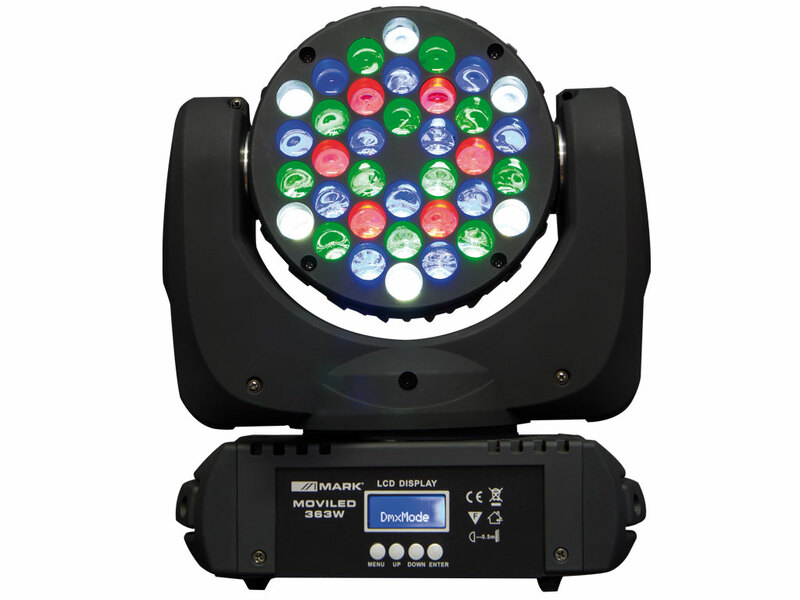 It adds a double fixation system, allowing to place it in a truss or over the floor. Control: DMX, Auto, Manualand audio (included micro).